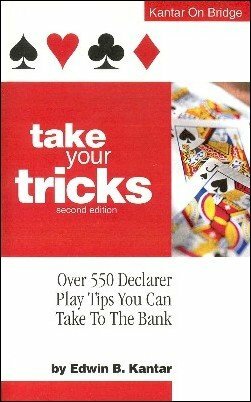 Over 550 Declarer play tips you can take to the bank. Acclaimed bridge expert Eddie Kantar offers valuable warm-up tips along with card combinations and safety plays. This ebook focuses on the "play of the hand". Its non-controversial tips were written for almost any player beneath "expert" who genuinely desires to improve his or her game. After reading this book, you will start making more contracts and you will be convinced your bidding has been improved - and you may be right. 1st edition 2002; this electronic edition 2006; 168 pages.